In one of my favorite scenes from the movie “Sideways,” Virginia Madsen’s character waxes rhapsodic about wine. Among the many things wine evokes for her are thoughts of the people who picked the grapes. This weekend, members of the United Farm Workers (UFW), the labor union founded by Cesar Chavez in 1962, will gather in Bakersfield to celebrate the UFW’s 50th anniversary. 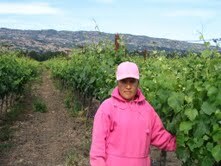 Among the attendees will be men and women who work in the vineyards of California, Washington and other states. It would be disingenuous of me not to mention that the topic of labor unions is a touchy issue for some gente. Regardless of where you stand, we’re all rooted in the same vast vineyard of humanity, and this post is presented in the spirit of learning about one chapter in the history of a movement that has had an impact on the wine industry. United Farm Workers members tend to grapevines and other agricultural crops. (photo courtesy of the UFW). One historical point that many wine lovers may not be aware of is that Cesar Chavez himself was a fan of red wine. Perhaps even less known is that the UFW made its own wine four years ago to commemorate what would have been their founder’s 81st birthday. Black Eagle Wines takes its name from the stylized bird on the UFW’s logo. 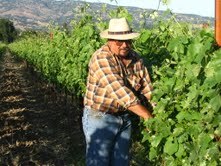 Black Eagle Wines were created by the United Farm Workers in conjunction with a Napa Valley winery (photo courtesy of the UFW). Although the wine is no longer available for purchase, the union has a limited reserve that it continues to pour at its banquets and special events. A Sauvignon Blanc, a Merlot and a Cabernet Sauvignon were released under the label. At the time the wines hit the market, a spokesperson for the UFW noted that their target customers were young Latino professionals whose parents may have been farm workers. Today, Cesar Chavez is credited by some not only for establishing better working conditions for farm laborers, but for starting a movement that would inspire hundreds of thousands of workers across various industries in the U.S. to seek better lives for themselves and their families. Photo courtesy of the UFW. So the next time you raise a toast, take a moment to think of everyone who played a role in producing the elixir in your glass, a liquid masterpiece that has been enjoyed for thousands of years by billions of people, our predecessors in the great vineyard of life. ¡Salud! Que lindo saber un poco más sobre quienes nos traen a la mesa todos esos buenos vinos. Muy interesante tu artículo. We often forget those who put food and vino on our tables and why we have such great luxuries. Farm workers work hard so we can enjoy these savory delights. Glad that you are promoting their hard work and cause! I remember the grape ban when I was a little girl. 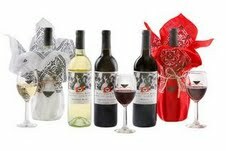 I want to raise my glass to Cesar Chavez and the awareness he brought to the farmworkers! Salud! Gracias a todas estas personas que trabajan de sol a sol para proveernos con los mas deliciosos productos. Excelente articulo, lo disfrute bastante. I still today make it a point even when visiting our local farms to point out to my family who is in fact working the fields. I try to bring awareness and always share that if you aren’t going to eat something the least you could do is ask for it to not be served on a dish. Don’t waste food people work hard to put on our plates! Thank you for the history lesson! It’s so easy to forget where products come from sometimes and the people who work hard at doing it. Raising a glass to them. I love your work Senorita Vino. This was especially interesting! I am such a big wine drinker. 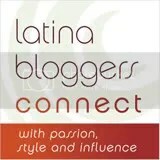 I’m glad I found your blog 🙂 I really enjoyed reading this article. Thank for the reminder of who are the ones really making my wine. Yay! Another wine-loving chica! Glad you found us too, Gina, and thanks for reading. My grandpa was a farm worker for many years when he first arrived in the U.S. One thing he always taught me was to be thankful for the men and women who work so hard to get the food from the fields to our table. Thanks, Leslie, for sharing your story!